Migrating ducks safe their fledglings bear. Sheltering their fluffy brood from man with fear. Eveready for the chase, and faithfully loyal. Knowing with their masters they need not fear. Man’s a dangerous predator as all ducks know. The ducks dream of safety in north tundra skies. First ducks, then bigger game (more challenging) – and then the logical progression – each other. All God’s creatures were given us to enjoy in their natural habitat. I can understand people using them as food where there is no other solution to keep them alive, but killing for sport is a crime. I admit to a certain deep shallowness. If “meat” weren’t pre-packaged and slaughtered by others, I would never hunt it. That’s why I am trying to use less of it on a daiy basis. Peraps one day I will evolve to be “meat free”. 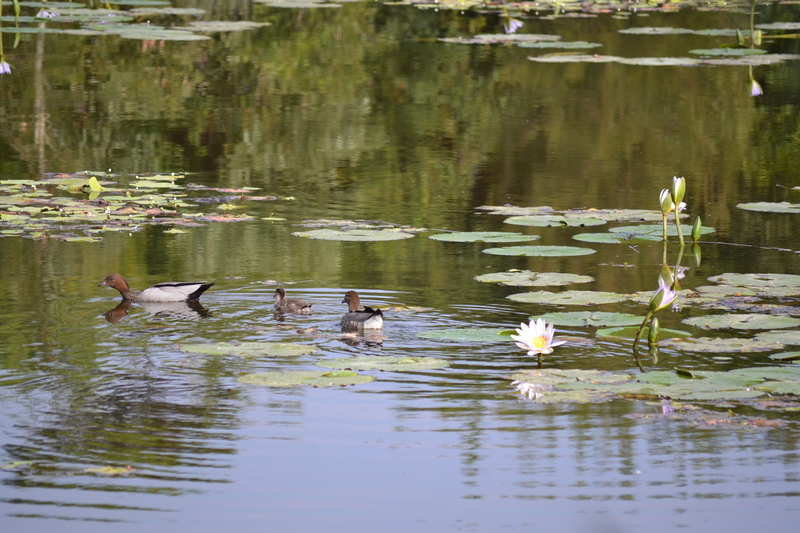 We have a pond in our suburb that plays host to a number of water birds including ducks. It’s much more fun to watch them than to shoot them. I know some animals provide necessary food but hate people slaughtering for sport. I hate hunters. All winter they have been running up and down the fields shooting pheasants and hares. Whoever it was invented the gun – I just hope they shot themselves in the foot on one fine day. I guess humans are so perverse they would have invented something else to take it’s place Sue. Some of the weapons they have now make the gun look harmless. Man the ultimate predator…but not much without his weapons and tools. You are absolutely right Eric.